On the Run letters could be withdrawn if it is found they were sent in error, according to a key advisor to the attorney general. Kevin McGinty was giving evidence to the Northern Ireland Affairs Committee about letters issued to republican paramilitary suspects. Mr McGinty also said the On The Runs scheme was "not corrupt". However, he said it was "damaging to the criminal justice system". On The Runs is the term used to refer to people who are suspected of, but who have not been charged or convicted of paramilitary offences during the Troubles. 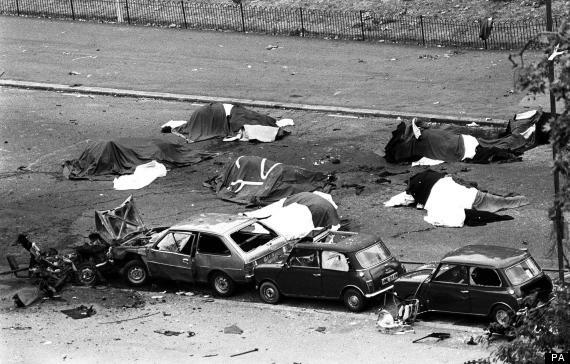 Controversy over the scheme emerged in February, when the trial of John Downey, the man charged with carrying out the 1982 IRA Hyde Park bombing in London, was halted. The trial judge said the case could not continue because Mr Downey had received a government letter, mistakenly saying he was not wanted for questioning by police. It later emerged that about 200 letters had been sent to republican paramilitary suspects. On Wednesday, Mr McGinty, who was involved with the scheme, told the committee he believed letters that were mistakenly issued telling republicans they were not wanted by the police for questioning or arrest could be withdrawn. Mr McGinty said other letters would not necessarily preclude recipients from prosecution. He also told the committee the Northern Ireland Office had amended the letter sent to Mr Downey to suggest that he was not wanted in the UK. He said this had been done on advice that the appropriate checks had been made by the Police Service of Northern Ireland (PSNI) but accepted that the PSNI was not informed that the wording was changed by the Northern Ireland Office. Mr McGinty insisted that the On the Runs scheme was lawful, but said it was accepted at the time that it would "damage the criminal justice system". "I am not going to describe it as corrupt", Mr McGinty said. The scheme, according to Mr McGinty, began at a time in the peace negotiations when Sinn Féin was being "particularly difficult". Earlier, former chief constable Sir Ronnie Flanagan told the committee that he was aware of letters being considered but not aware of them "actually going out". Asked whether people in other circumstances could ring up the police and ask if they were wanted, Sir Ronnie claimed the political context at the time, which had also seen the early release of paramilitary prisoners, meant that a "completely normal situation" did not apply. But he added: "I certainly would never have been engaged in a process that would have allowed anyone to escape justice or evade justice." Sir Ronnie was also adamant no political pressure was exerted on him to ensure certain individuals were not pursued.